For many of us, there were two stories in our childhood that captured the essence of Easter. Like the rails of a train track, the duo never intersected but ran in parallel tandem through our memories. The first was the story of the Easter Bunny. We heard tales of the happy white rabbit, dressed in human clothes, who would fill empty baskets with all sorts of our favorite chocolate candies… if we behaved ourselves throughout the year. The other rail was more serious. It was the story of Jesus Christ, who died on the Cross in a grotesque manner known as a crucifixion on Good Friday, but then miraculously rose from the grave on Easter Sunday to show his power over sin, death, and hell. Easter would likely find us dressed in our Sunday finest, attending a church service (whether we were regular church attenders or not), and returning home to baskets of melting chocolate while we waited for the family’s traditional Easter dinner. If we were lucky, there would be an after-dinner Easter egg hunt featuring color-dyed, hard-boiled eggs. The Easter Bunny and the resurrection of Jesus. One is decidedly childish, while the other represents the most profound event to ever occur in human history. But for many people today, believing Jesus’ claims that He was the Son of God — and that He actually rose from the dead on the third day — is like believing the big magical bunny is real. 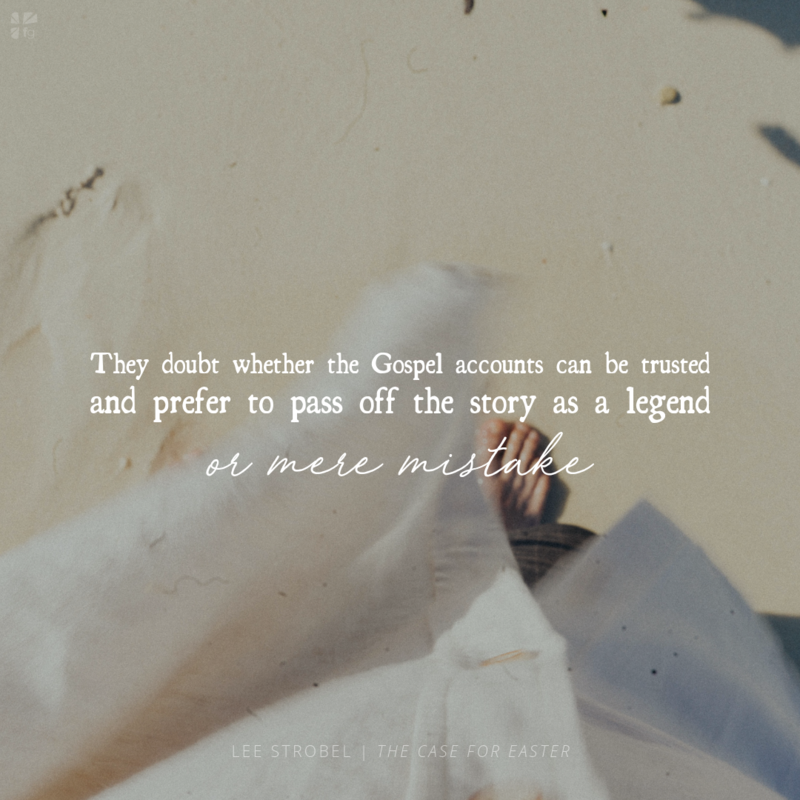 They doubt whether the Gospel accounts can be trusted and prefer to pass off the story as a legend or mere mistake. 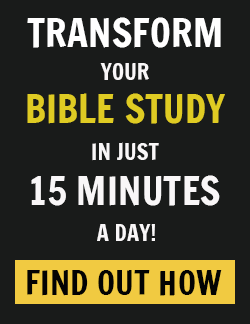 So, what proof do we have that Jesus’ crucifixion and resurrection actually took place? How can we know that He actually was executed and died on a Roman cross those many years ago? And what does the reality of Jesus’ resurrection mean in our lives? In this first session, we will start to dig into these issues by examining the events surrounding Good Friday and, in particular, the Roman execution-style murder that took place that day. What was Easter like for you as a child? What was the best part for you? What was the worst part for you? What are some of your favorite Easter memories? How big a role did the resurrection of Jesus play in your typical Easter celebrations? Now that you are an adult, do you celebrate Easter any differently than you did as a child? What changes have you made in the way you celebrate? Play the video segment for session one. As you watch, use the following outline to record any thoughts or concepts that stand out to you. Some have claimed there is no scriptural text in which Jesus said explicitly He was divine. But just because Jesus didn’t make this claim directly doesn’t mean He didn’t make it at all. which caused His opponents to accuse Him of blasphemy. Christianity is an investigate-able religion. While the origins of many world religions are lost in the mists of history, Christianity makes specific claims about events that occurred in time and space — right there in the first century. When we scrutinize the data of history, we find four facts that establish convincingly that Jesus rose from the dead — which we can call “the four Es.” The first E stands for execution — Jesus was truly dead after being executed by the Romans at the behest of the Jewish leaders. Before He was crucified, Jesus was flogged by Roman soldiers. In fact, He was evidently flogged two separate times. The Greek word used to describe the flogging indicates a punishment inflicted after a death sentence has been pronounced. Because of the terrible effects of this beating, there’s no question Jesus was already in serious-to-critical condition even before the nails were driven through His hands and feet. Once the video has concluded, break into small groups for a time of discussion. Ideally, the group should be no less than four people and no more than six. Don’t be shy — grab your chair and circle up! Find someone who will become your partner over the next few weeks. If you’re married and your spouse is in the group, you’ve got the option of choosing him or her, or you may opt for someone completely different. If not your spouse, it’s best for women to choose another woman and men to choose another man. Get your new partner’s cell phone number and email so you can connect during the week. Do you have any doubts that Jesus clearly claimed that He was God? Are the statements covered in the video teaching evidence enough, or do you need further convincing? Be honest about your questions. That’s why we’re meeting! Now that you’ve heard the teaching on the crucifixion of Jesus, did you find this type of execution was more painful and graphic than you previously believed? Why or why not? 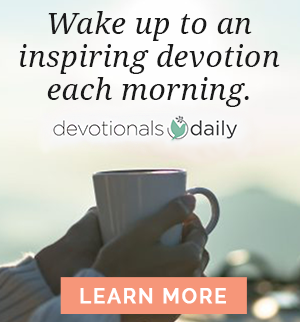 What part of the execution of Jesus made the biggest impact on you as you heard it presented? Why do you think it affected you the way it did? What other questions have you had about whether Jesus actually claimed to be God? What questions have you had about whether He really died on the Cross — or even existed at all? How did this week’s teaching help address these concerns? Conclude your group discussion time with a few minutes for prayer. Share one another’s needs and requests and offer them up to God. Nothing will bring your group together quicker than knowing you have brothers and sisters who care enough about issues you raise to bring them before the Lord for His answers and His direction. Come share your thoughts on The Case for Easter on our blog! We want to hear from you!